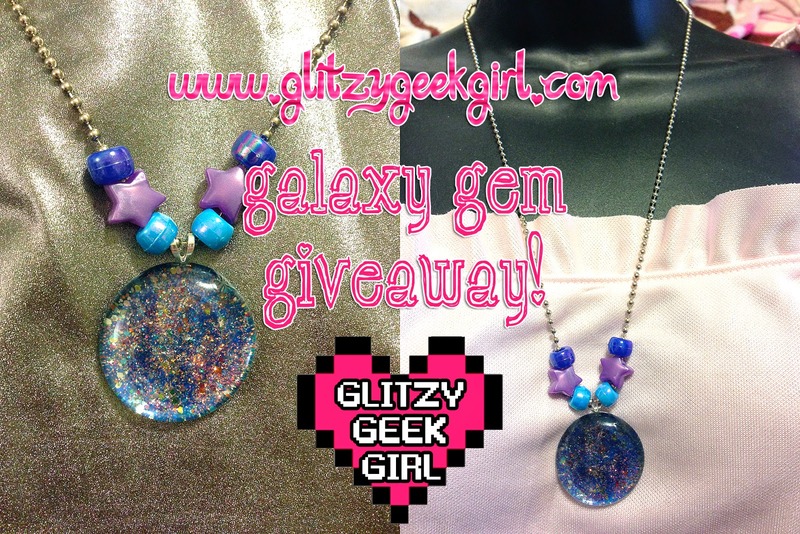 OMGLITZY: Glitzy Galaxy Gem Giveaway! 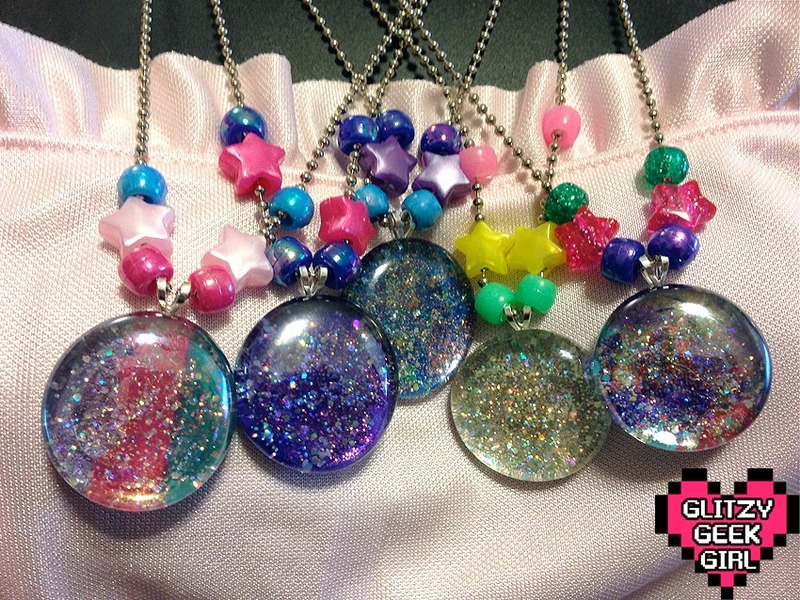 I have traveled through space and time to create one of kind jewels I call Galaxy Gems! To celebrate the addition of these magical new pieces in my Etsy Store I have one to give away to a lucky winner! You have a chance to win the Galaxy Gem Necklace featured above named the "Supernova"! Entering is easy! Just follow these steps on the Rafflecopter widget. One winner will be picked at random and mailed the "Supernova" Galaxy Gem Necklace. Currently, this contest is only open to US residents. Once a winner is selected, they will be contacted by email and will have 48 hours to respond otherwise a new winner will be chosen. Contest ends on Friday April 25 at 11:59pm CST. No purchase necessary. Yes, I do believe. Super cute necklaces btw! I have been watching some crazy documentary type stuff on them recently. Super interesting! They are so cute!! I love the colors you picked!! I believe in aliens/extra-terrestrial life, but, I do not believe they have visited our planet at this point in time. These are beautiful! I totally believe we aren't the only beings in the universe.